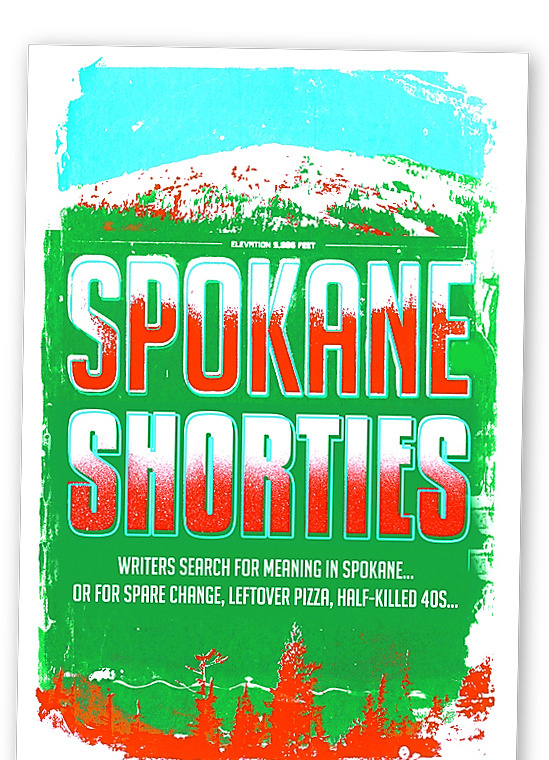 “Spokane Shorties,” with cover art by Spokane artist Chris Bovey, is being sold as a Get Lit! fundraiser. When you have a story like that, he believes, you feel a need to tell it. Taylor, a former Spokesman-Review and Inlander reporter who now works as a freelance writer, collected a few dozen of them – poems and short fiction and essays – for a book, “Spokane Shorties.” It will be sold for $8 at Get Lit! events, then Atticus and Boo Radley’s downtown, with proceeds to benefit the festival. As it turned out, there were many of those. Submissions began to flood his inbox. The final product puts established writers such as Jess Walter and Kim Barnes alongside less-famous ones. Sharma Shields wrote a story about three sisters feeding the ashes of their abusive uncle to Riverfront Park’s garbage-eating goat. Kris Dinnison’s story, about chasing a shoplifter wearing a top hat through downtown, is based on a true story. But it was her husband who chased the shoplifter in a top hat, who’d lifted some incense from their gift shop, Boo Radley’s. They also own the shop next door, Atticus. The public is invited to the book’s “Coming Out Party”; 4:30 to 6:30 p.m. Tuesday, Saranac Public House, 21 W. Main Ave.